Although not the state’s first flag, the current North Carolina state flag has been left largely unchanged over the past 125 years. On February 5, 1885, General Johnston Jones introduced a bill to the General Assembly to adopt a new version of the state flag. The flag was to “consist of a blue union, containing in the centre thereof a white star with the letter N in gilt on the left and the letter C in gilt on the right of said star.” The flag also was designed to have two bars: “the upper bar to be red, the lower bar to be white.” The bars were equal in horizontal length to the vertical length of the union, and the total length of the flag was limited to one and one-third of its width. The day the Mecklenburg Declaration of Independence was signed, “May 20, 1775,” was printed above the star in a semi circular shape. 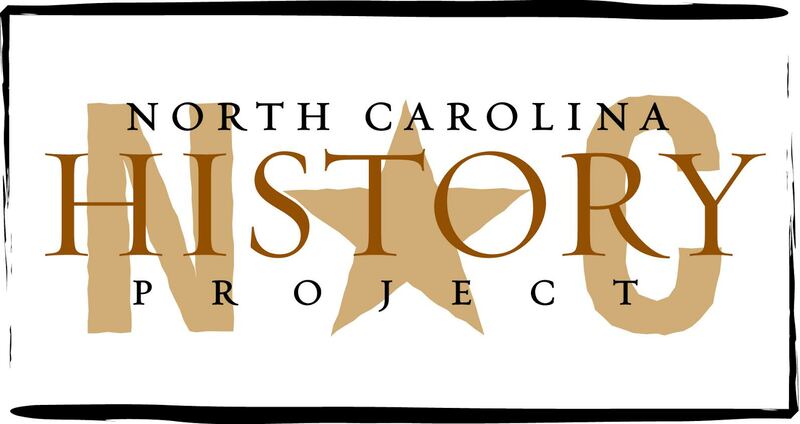 The date “April 12, 1776” signifies the passage of the Halifax Resolves, and it is printed below the star in a semi-circular shape.In 1991, the General Assembly made two minor changes to the North Carolina State flag. The state flag was lengthened to one and one half its width, and the commas were removed from the two dates. “The State Flag” http://statelibrary.ncdcr.gov/NC/SYMBOLS/FLAG.HTM (accessed April 22, 2010); William Powell ed., Encyclopedia of North Carolina (Chapel Hill, 2006).